The latest fashion in blog business cards and conference badges is QR codes, and I have to ask why? Have you ever scanned a QR code? Let’s rephrase that: how many times have you scanned a QR code when you weren’t trying to test out QR code apps? Most of the people that put them on their stuff have only scanned a code once or twice in their life. If you rarely scan codes, what makes you think other people are going to scan yours? If you must put a QR code on something, give people some sort of incentive to scan it – don’t just make it go to your website (which is likely already listed on your card). 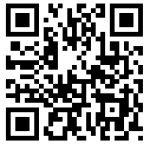 Something sensational, like Scan this and receive exclusive access to my 154-page ebook on why QR codes are the future of marketing!